Perhaps you’re in expediting to call your own shots. Or, you always wanted the freedom to travel the country. Or, you dreamed of teaming up with your spouse to enjoy a meaningful second career together after the kids had grown. Whatever your reason for taking the plunge into the expedited trucking business, your destiny is now in your own hands. No boss to blame. No incompetent coworkers to point the finger to. It’s all on you as to how far you go in this business. So here are seven success strategies to help you stack the odds of success in your favor. 1. Think like a business owner … because you are one. When you were an employee, you could depend on steady paychecks, paid vacations, and health benefits. But now you’re the business owner. And that means you must deal with a lot more uncertainty. If you’re going to have dependable income and benefits, it’s up to you to manage your business in a way that smooths out your cash flow and makes vacations and health insurance coverage possible. Caffee’s advice: Put together a business plan that helps you determine how you can most effectively manage cash flow so that the inevitable slow weeks don’t put your entire business at risk. 2. Purchase the right truck. Your truck is a tool to make money, and it’s also your home away from home. So, it’s important to make a smart choice. Otherwise, poor fuel economy, high maintenance costs, or unplanned downtime will take a chunk out of your income and jeopardize your future as an owner-operator. The first step in truck selection is to work with truck dealers that specialize in the expedite market. (To search expedite truck dealers and trucks online, go to http://expeditetrucksales.com/) This is because they have a finger on the pulse of the industry and have honed their truck specifications over the years to strike the optimal balance among key points, such as truck price, performance, fuel economy, longevity, and comfort. Take engine selection, for example. Truck dealers without expedite expertise often try to sell the smaller Class 7 engine because of the substantially lower price point compared to a Class 8 powertrain. But the Class 7 engine is built for a life of about 400,000 miles, versus 1 million miles for the larger engine. If you’re traveling 80,000-100,000 annual miles, you could burn through the lifecycle of the Class 7 engine before the truck loan is paid off, putting you in a dangerous financial position. The larger engine is also cheaper to operate because it enables the truck to perform at peak efficiency in most expedite applications, unlike the smaller Class 7 engines that often have to operate at much higher RPM’s to haul the same load. And this translates into a substantial fuel economy advantage for the Class 8 engine. A used truck is another option to consider. The lower price of a used truck can help a new expediter get into the business sooner. However, the resale market for quality low-mileage used trucks is still tight. So, the challenge is finding an available used truck that will fit your budget and be reliable for your business. If you decide to go the used truck route, make sure it’s equipped with a heavy-duty powertrain, complies with your carrier’s requirements, and has been well maintained to minimize unpleasant surprises. 3. Select a carrier that aligns with your business goals. Compensation: Flat rate per mile or percentage of freight. Percentage pay tends to be favored by individuals and teams because of the higher upside potential, depending on the loads they get. Flat rate compensation is often preferred by fleet owners because it simplifies the revenue and cost projection process, especially when you’re having to manage multiple trucks. Run numbers that compare flat rate and percentage pay plans based on the specifics of your situation to determine which type of compensation would be most advantageous to you. Fuel surcharge. It can be a challenge to accurately figure out which carriers offer the best rates because they all calculate fuel surcharge differently. Therefore, ask each carrier how they calculate their rates and whether they pay on all miles or only on loaded miles. If it’s “all miles,” find out what the the difference is in fuel surcharge for loaded and unloaded miles. Pay schedule. No matter what’s included in a carrier’s compensation plan, if you have to wait on your money longer than you expect, that delay in cash flow could sink your business before it gets started. Expenses. Carriers typically collect escrow (as much as $1,000 or so) from drivers to cover insurance deductibles, satellite services, fuel taxes, and other items included in the lease agreement. Find out how much escrow is collected and what’s included. Some carriers will offer drivers the option to make weekly payments to help reduce the upfront cash burden. 4. Know your lease agreement before you sign it. Before you finalize a lease agreement with a carrier, have an expert — whether an attorney or someone at the Owner-Operator Independent Drivers Association (OOIDA) — review it for you to ensure you haven’t missed anything important. Any unpleasant surprises could disrupt your cash flow and drive you out of business. To familiarize yourself with trucking lease agreements, refer to the Federal Motor Carrier Safety Administration (FMCSA) regulation part 376.12 on “Written Lease Agreements.” (Find it online at: http://www.fmcsa.dot.gov/regulations/title49/section/376.12.) This will give you an excellent overview of what must be (and cannot be) included in the contract for it to be compliant. 5. Make sleep a top priority. If you’re operating as a team, you’ll spend the bulk of your sleep time while the truck is moving, and this can create some challenges with getting the rest you need to avoid fatigue and burnout. 6. Bolster your financial health. 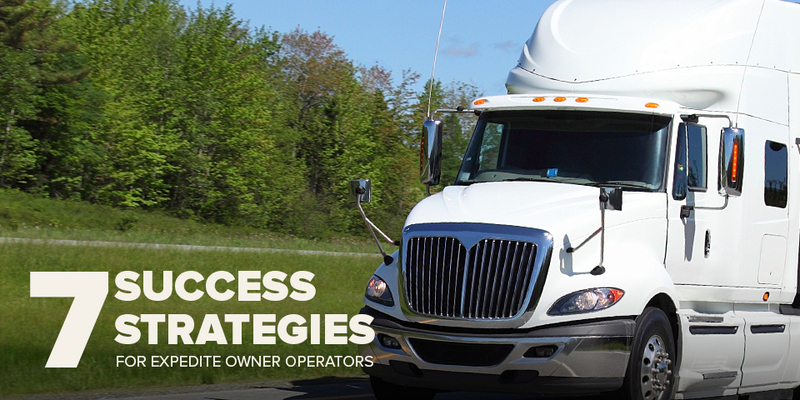 Your success as an owner-operator largely hinges on cash-flow. And the lower your expenses, the more money you get to keep to cover those slow weeks and ultimately invest into your future. Examine your household expenses and assets. Are there areas where you can cut to help reduce your monthly outflow? Are there assets that you can sell to generate cash to have on-hand for emergencies to keep your business afloat? 7. Invest in your continuing education. 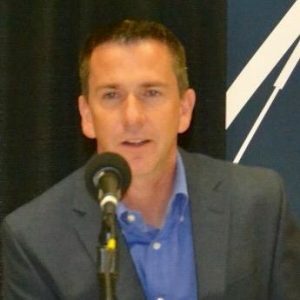 Become a diligent student of the expedite business by attending educational sessions at the annual Expedite Expo (http://expediteexpo.com/), subscribing to ExpediteNOW magazine (https://www.expeditenow.com/), and tapping into a vast library of articles and resources on ExpeditersOnline.com. Also seek out successful expediters who would be willing to serve as mentors, providing real-world perspective on the opportunities and potential pitfalls that come with the expedite business. 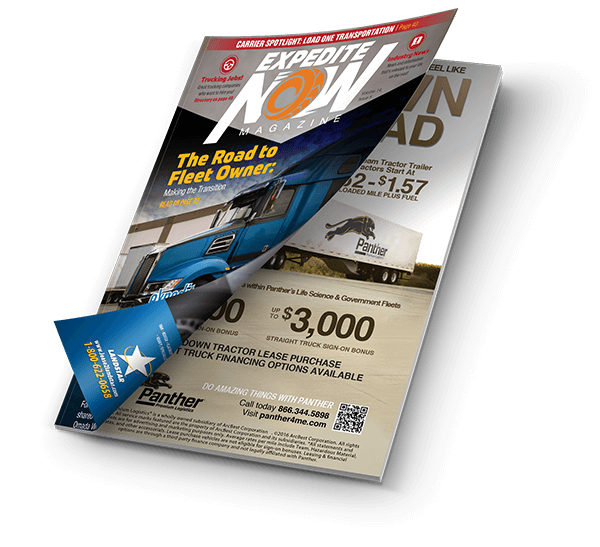 The expedited trucking business can be lucrative for owner-operators. But it takes a lot of business savvy, hard work, and discipline to fully capitalize on the opportunities. These seven strategies are intended to help point you in the right direction; how far you go is entirely up to you.